This 20 gallon wet/dry vacuum is big enough and powerful enough to tackle whatever you ask of it. 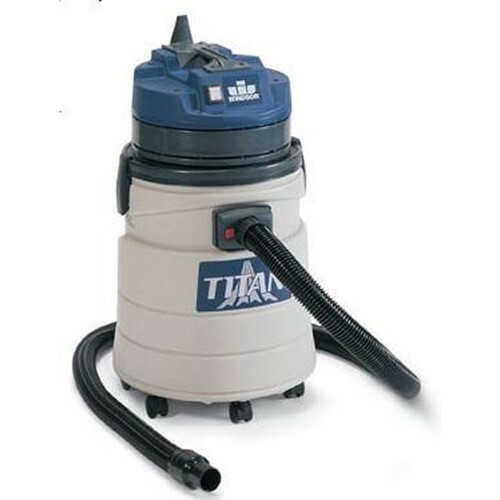 The Titan delivers incredible strength and power for vacuuming large wet or dry jobs. Pick up large messes with the 20 gallon capacity and when you are done simply tip and pour what you recovered down the drain. Utilize the powerful 1.5 hp motor to pick up any mess you throw at it. An optional squeegee attachment makes this robust machine even more productive.